Prima Etas Mundi. 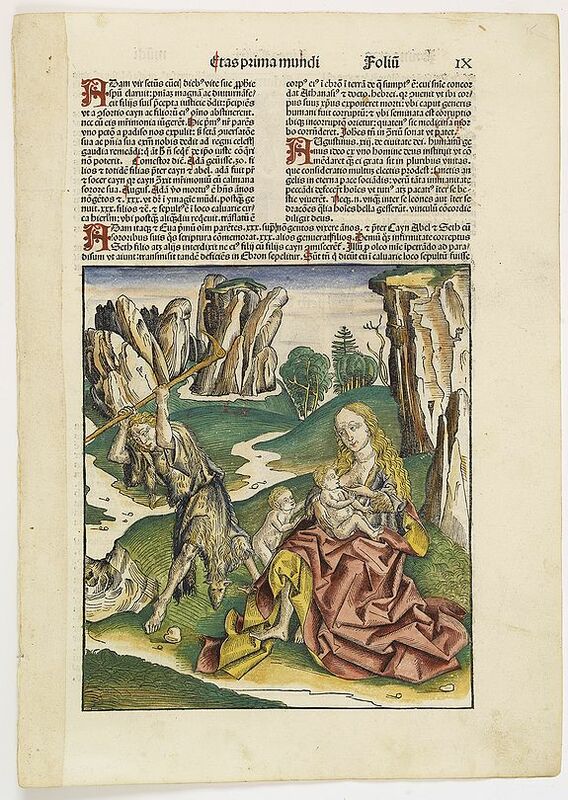 IX (with Eve nursing Kain and Abel) - SCHEDEL, H.
Title : Prima Etas Mundi. IX (with Eve nursing Kain and Abel). Size : 18.0 x 25.4 inches. / 45.6 x 64.5 cm. Description :A very fine presentation of Eve nursing Kain and Abel. Adam is working (255x220 cm). VERSO a genealogy of Adam. Condition : Very good condition, wide margins and attractive colours. Paper strip pasted on left hand margin of recto.